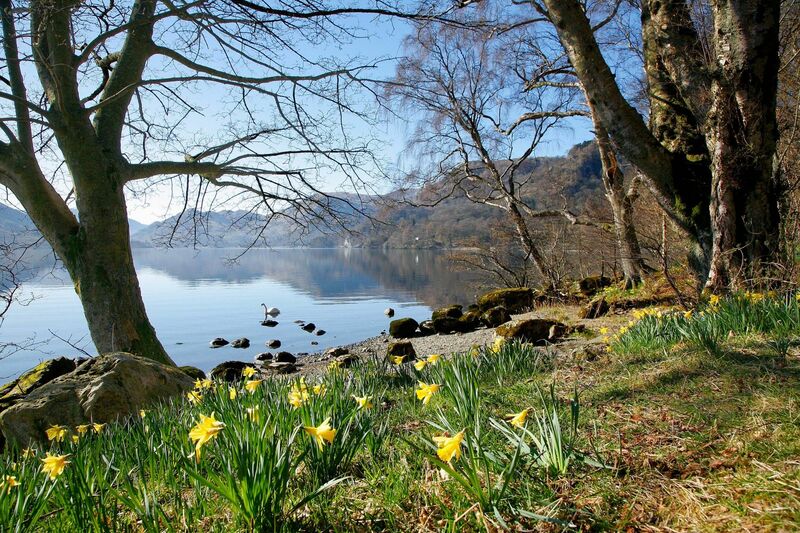 When William and Dorothy Wordsworth visited Glencoyne Bay on their way back to Grasmere after an overnight stay, it gave William the inspiration to write his most famous poem, - Daffodils. The daffodils are a wild variety and very dainty and neat. The sight of them on a carpet alongside the lake edge is quite spectacular.